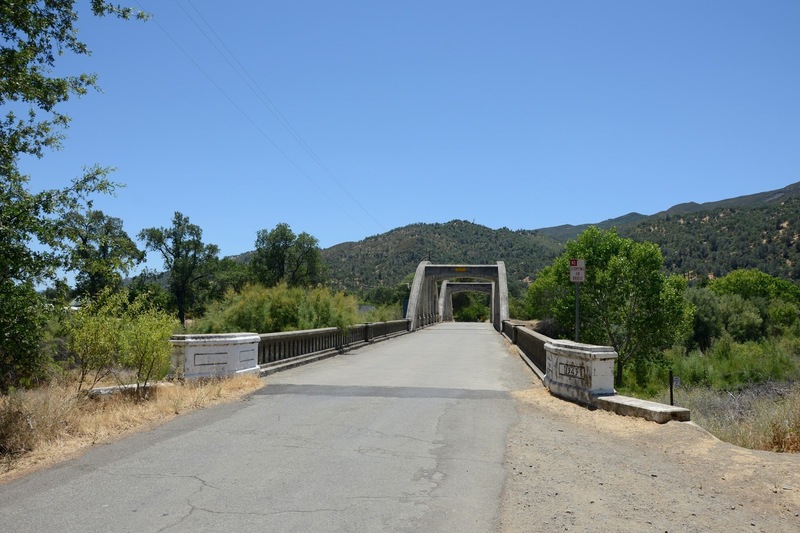 Continuing southeast on SR 16, we stopped at County Route 41 in the town of Rumsey to photograph another Cache Creek Bridge. This bridge includes through arch river spans and T girder approach spans. The Cache Cache Creek Bridge (22C0003) is 310 ft long and 24 ft wide. It was originally built in 1930 and had more work done in 1949 (maybe the approaches?). Its a nice looking bridge and it's eligible for registering as a historical place, but unfortunately, the reinforcement is terribly rusted and the concrete has spalled off all over the bridge. I wonder if this was caused by the use of reactive aggregate in the concrete? The county is planning to eventually replace this bridge although there is opposition from the local residents. The bridge only carries 100 vehicles a day and it would be expensive to replace, but I don't know if there is any way to preserve a bridge once the reinforcement starts to corrode. Yolo County, California Bridges; County Route 41 across Cache Creek by Mark Yashinsky is licensed under a Creative Commons Attribution-NonCommercial-ShareAlike 3.0 United States License.